The theme for July of the City Daily Photo community is “the colour green”. Click here to view thumbnails for all participants. My green canvas shows off some beautiful birds. 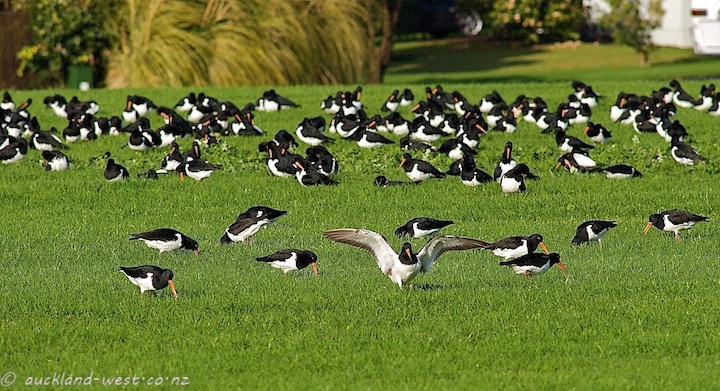 At the western end of Mangere’s Kiwi Esplanade, next to the Manukau Boating Club, are a couple of paddocks which are a roosting site for oystercatchers. 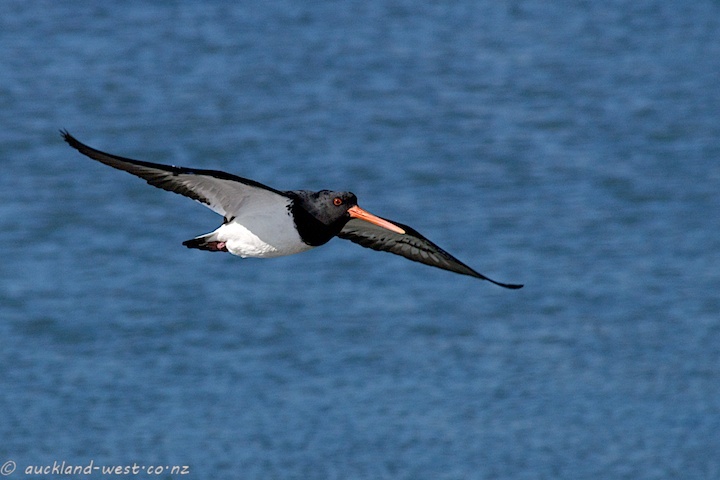 They feed in the vast mudflats of the Manukau Harbour, and when the tide comes in, they have to retreat to land for rest and recreation. They will fly here in small groups of between one and 100 birds, and it is a treat to hear the whisper of their wings interspersed with their calls as they come in. Occasionally, they lift up into the air, perhaps disturbed by an approaching dog or an exuberant child, or maybe for no perceptible reason at all. Their swirling about over the land and water is spectacular. It is great to be able to see this so close to the city. 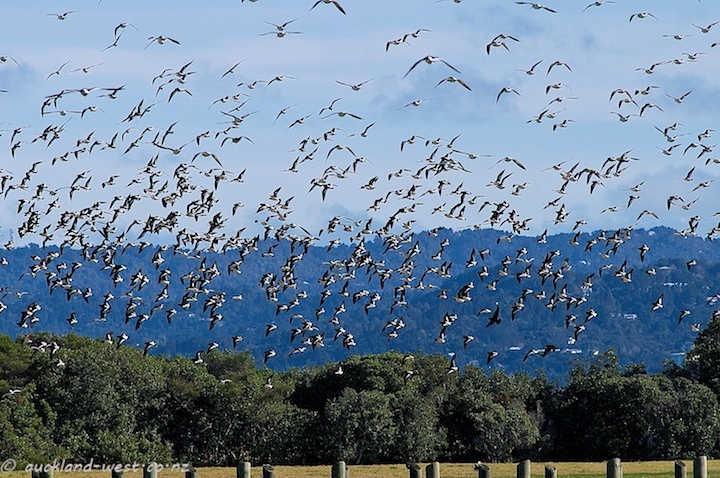 The majority of these are South Island Pied Oystercatchers (Haematopus ostralegus finschi, torea), with small numbers of (predominantly black) Variable Oystercatchers (Haematopus unicolor) in between. Oooops, the pictures below are not very green – I think it’s a case of chromatic aberration.